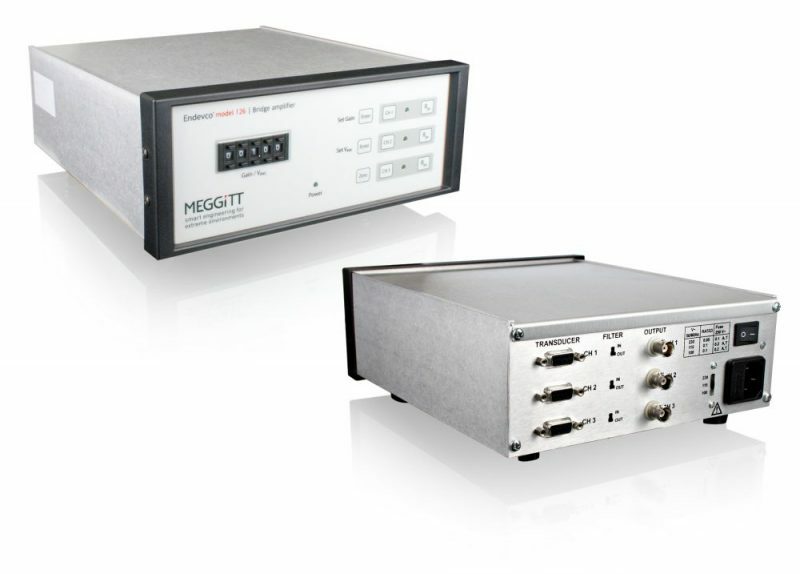 The model 126 is a microprocessor-controlled, 3-channel DC signal conditioner amplifier designed to be used with bridge type or differential output accelerometers and pressure transducers. The model 126 incorporates variable gain adjustment, shunt calibration capability, and multiple excitation level settings. A microprocessor SLEEP mode is employed to eliminate high frequency clock noise and their associated harmonics. This allows the amplifiers to operate with minimum self generated noise and provides clean, clock free amplified signals. The model 126 uses dual 12-bit DAC’s, for each channel, to auto zero the input and output amplifiers for DC input signals. Input signals with magnitudes of ±10 Vdc can be zeroed. A unique output DAC trimming routine allows trimming the output zero to within ±1 mVdc. 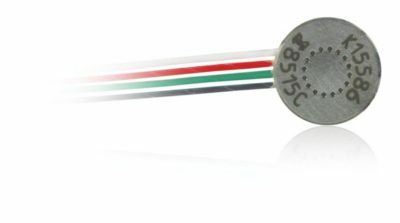 The transducer excitation supplies are individually adjustable for each channel from 0.00 to 12.00 Vdc. Any setting above 12.00 Vdc will generate an excitation voltage of 12.10 Vdc. The outputs are short circuit protected and can supply up to 30 mA each. 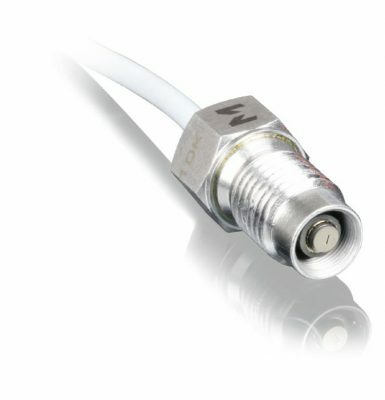 Remote sense leads are provided to eliminate errors caused by long cable lengths.